I feel very fortunate for getting the opportunity to meet Sarah Grace. 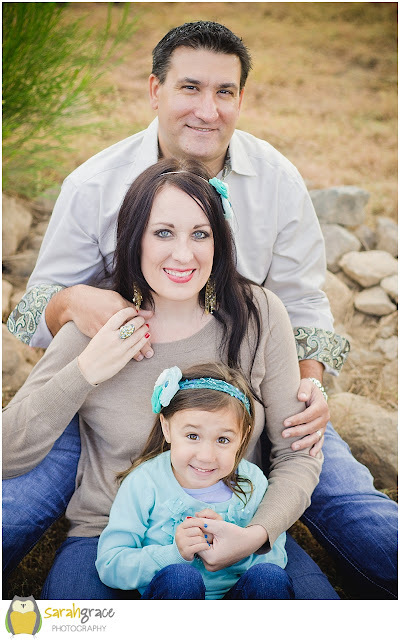 She is an amazingly talented photographer and made our family holiday photo session the best experience. 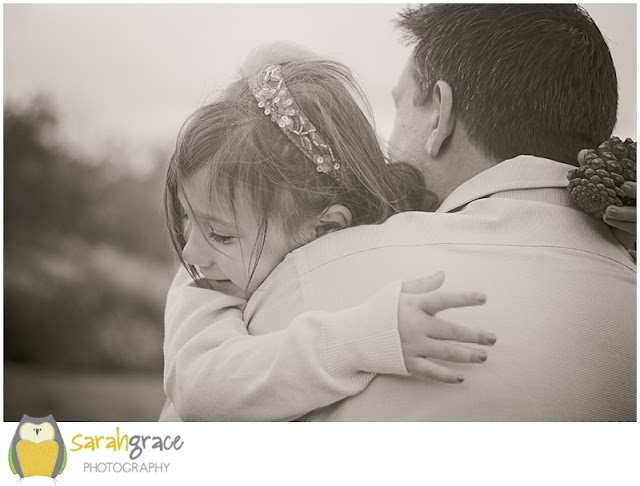 Not only did my husband and daughter tolerate my insistence on getting all dolled up and driving to meet a photographer for holiday photos, they enjoyed every second with Sarah! 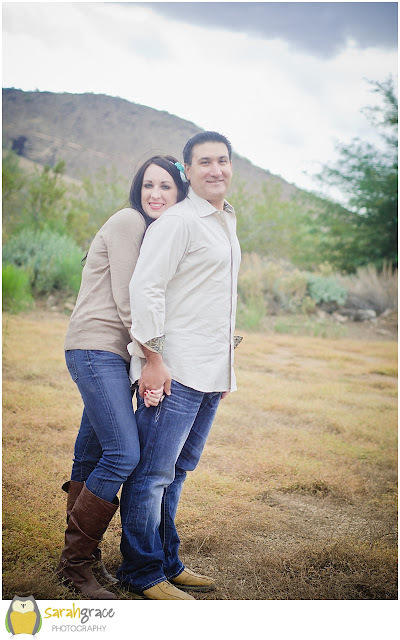 I had a difficult time waiting a few days to see our edited photos because I knew they were going to be beautiful. Beautiful is an understatement. I am in love with every single photo. I grew up in Arizona but my husband did not. There is something magical about a saguaro cactus…if you didn’t grow up seeing them everywhere every single day. 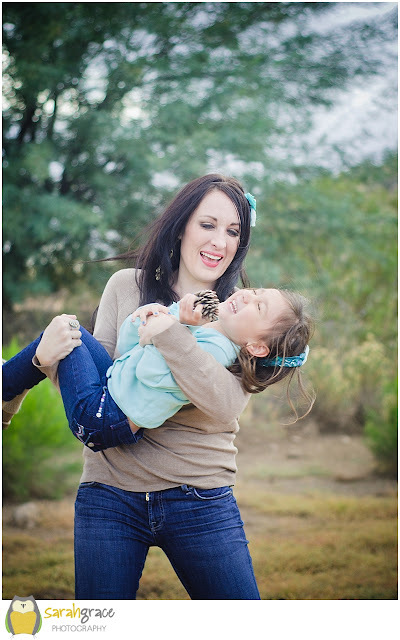 I have always done my best to avoid looking too western or rustic in our family photos because I don’t want pictures of cactus and tumbleweeds in my home. This year was different. I had seen Sarah’s photography in her online gallery prior to meeting her. I browsed her site for a couple of weeks before I emailed asking about her holiday session schedule. The first line of her email response to me was, “How Dandy to get your message! Made my Monday sparkle! 🙂 ” From that moment I just adored her. We arranged a date and I told her I trusted she would choose the perfect location. 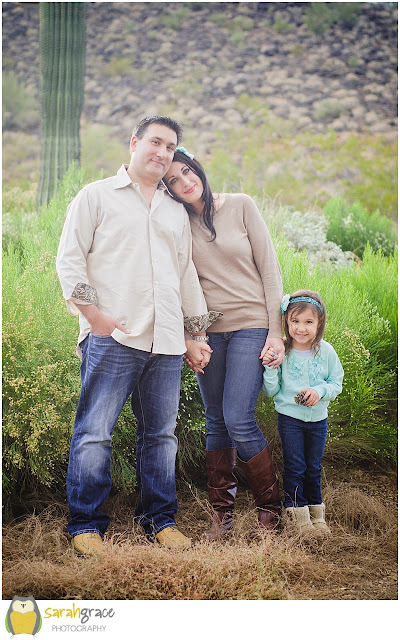 I am so happy I let go of my “avoid cactus in family photos” requirement because these pictures are amazing and capture everything we love about Arizona. Meeting Sarah in person was great. She is just as cute and fun as I imagined her to be. She had sent over a family questionnaire before our session and was able to capture my daughter’s attention from the second they met. She quickly engaged my daughter in conversation about all the personal notes I included. They chatted about Disneyland, my daughter’s upcoming birthday, and how much she loves it when my husband sings Italian love songs to her before bedtime. They became quick BFFs and it made a huge difference in our session. 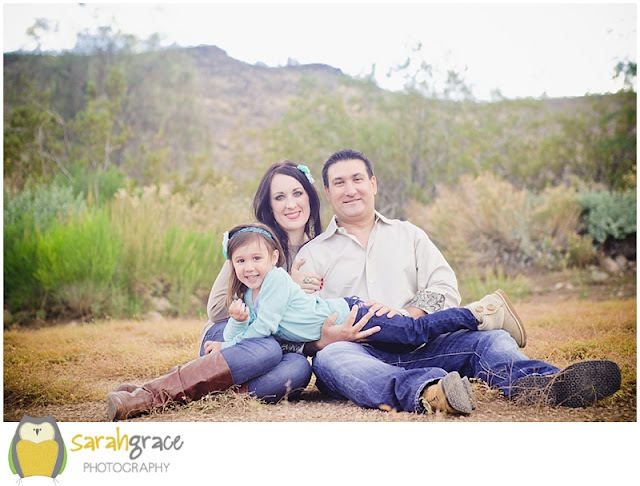 My daughter was completely relaxed and acted like she was at a play date, not a family photo session. Our session felt like a play date for the grown ups too. 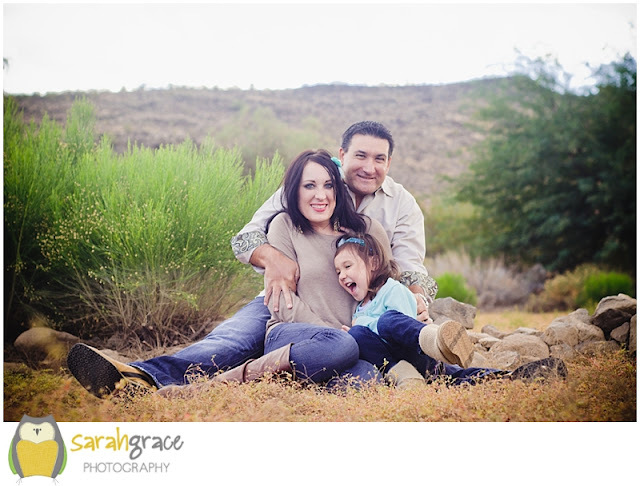 My husband and I were simply enjoying our daughter while Sarah was capturing our real moments together. The more traditional posed photos did not feel staged. Again, we were simply enjoying our time together. Our family holiday cards include several different photos because I couldn’t choose just one favorite. I’m having that same difficulty deciding which photos to hang in our home. Problem solved – Sarah is coming over to look at my walls and help me make a great decision! Yes, she is that awesome! Sarah makes it a priority to capture you “where you are right now” so you can look back and see the joys present at that time in your life. I feel our family photos tell our story this year. 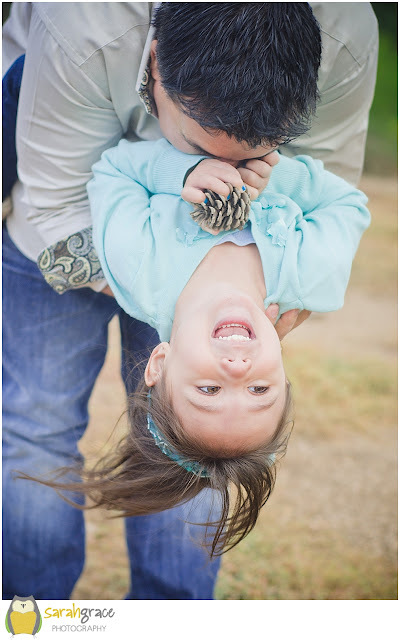 Looking at these pictures remind me of every reason I am thankful for my daughter and husband. Sarah definitely gave us an experience and memory we will be able to hold on to forever. If you are looking for a great photographer in the Phoenix area or are visiting and would like to work with her, reach out to her! 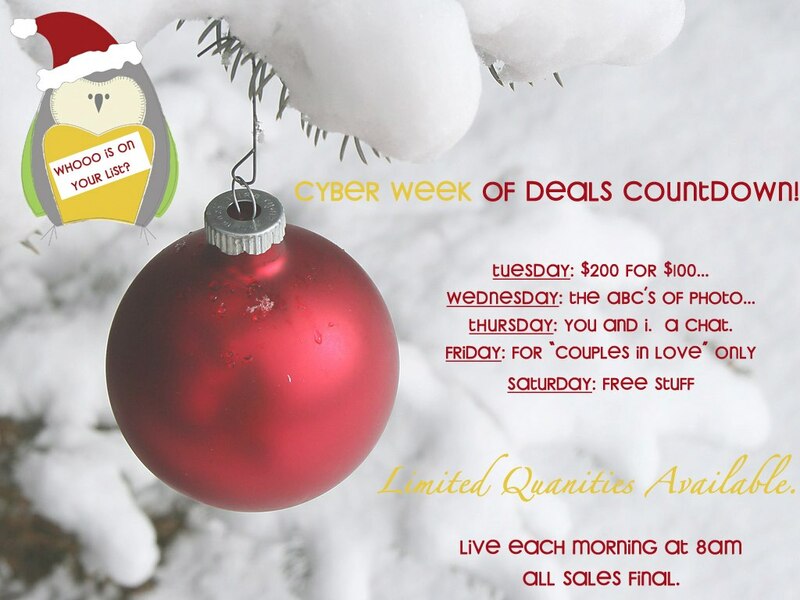 Sarah is extremely generous with her talent and is currently hosting a fantastic cyber week of deals. And just because she is so sweet, she is sharing every single one of these deals with you until midnight on Tuesday, December 4th. If you want to have an amazing experience with an extremely talented photographer, don’t miss these deals! All you have to do to get access to the deals is like Sarah Grace Photography on Facebook and let her know you came over from Brie Brie Blooms. Easy! I promise, you will be thanking me later! Sarah, thanks for being you!